Location: From the intersection of Highways 45 and 70 (east of Eagle River), continue east on Highway 70 approximately 7.5 miles to FR 2178 (Military Road). Turn north on FR 2178 and follow the signs to Spectacle Lake Campground. The trailhead is located near campsite #30 and parking is available at the boat ramp parking lot. 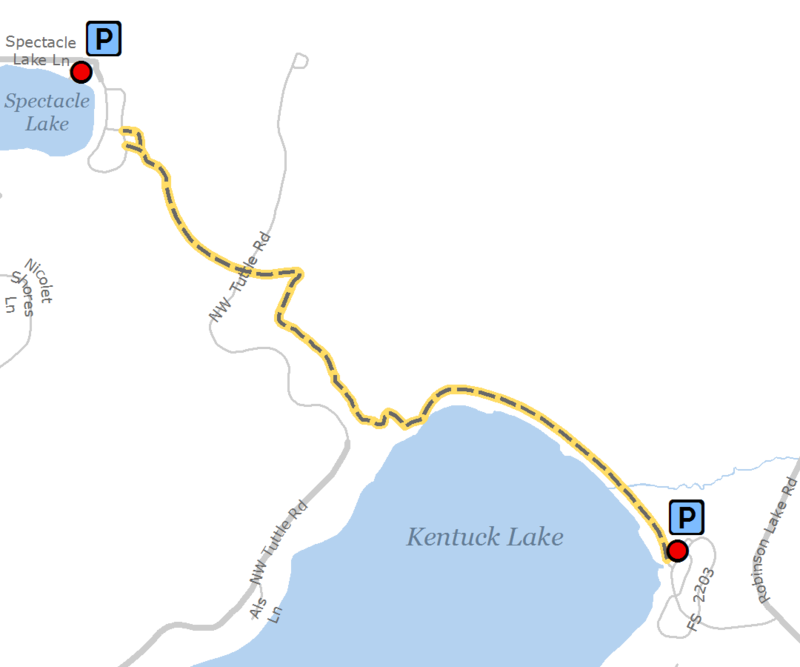 Parking is also available at the boat ramp at Kentuck Lake for the Kentuck Lake end of the trail. Parking lots require a daily use fee.